This heatwave isn't even a heatwave anymore...it's a full on summer! Who's sick of it? I'm actually still enjoying it, and I would be loving it even more if we were allowed to wear shorts in the office. I've got to say I'm impressed, as usually here in the UK we get to experience warm weather and cloudless skies for about 10 days out of the whole year, but 2018 has given me full on LA vibes here in Bournemouth. So..what's been new around here? I've been busy collaborating with some very talented creatives (can't wait to share some badass images soon) and simply enjoying the sun and copious amounts of vanilla ice cream. I realised I haven't done a beauty post in a while and I definitely felt the need to share some amazing picks that have helped me through this weather in different ways. Nivea Sun Moisture Mousse Face Cream*: I know this product has some mixed reviews but for someone with combination skin, I found it AH-mazing. I love applying it under my makeup on full days when I'll be using heavy foundations and I haven't found major issues with my T-zone getting more oily than it usually does. The mousse feels very light and airy on the skin, which is nice in this heat. It's nothing like face creams with protection 50 that I've tried before, as they usually smell funny and clog my pores badly. This mousse doesn't and I love it. Nivea Body Mousse*: First of all, it has a beautiful fragrance, I actually fell in love with the smell. When applied it absorbs really quickly into the skin and I can’t believe how soft and moisturised you feel after using it for the first time. It works for people of any skin type but my body is quite dry and this did an outstanding job right from the start. 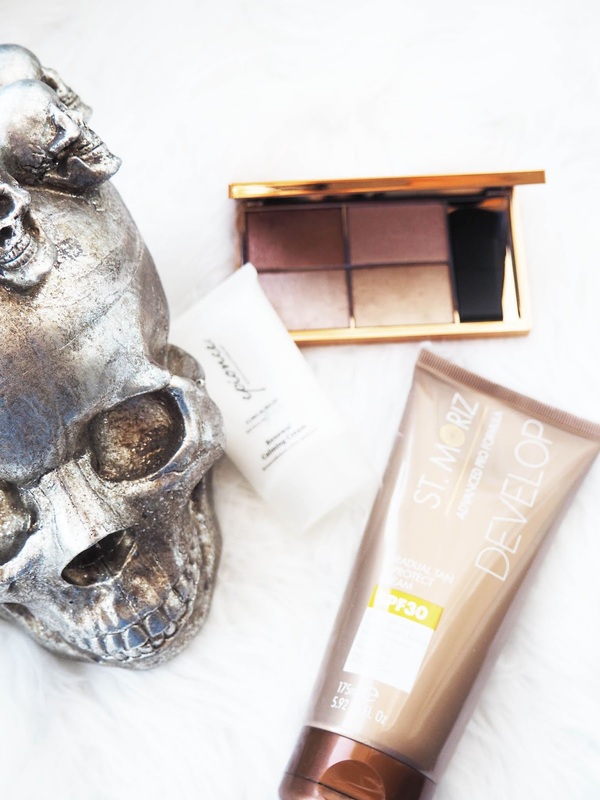 St. Moriz Gradual Tan SPF Protection*: I have olive skin and don't apply fake tan often at all, however, I had fun playing with this and convincing people I tanned very fast in two days. It smells delicious, it dries very quickly, and it is quite buildable over a few days. Not the darkest tan ever but it is a gradual one. An extra bonus: it definitely makes your skin feel soft. 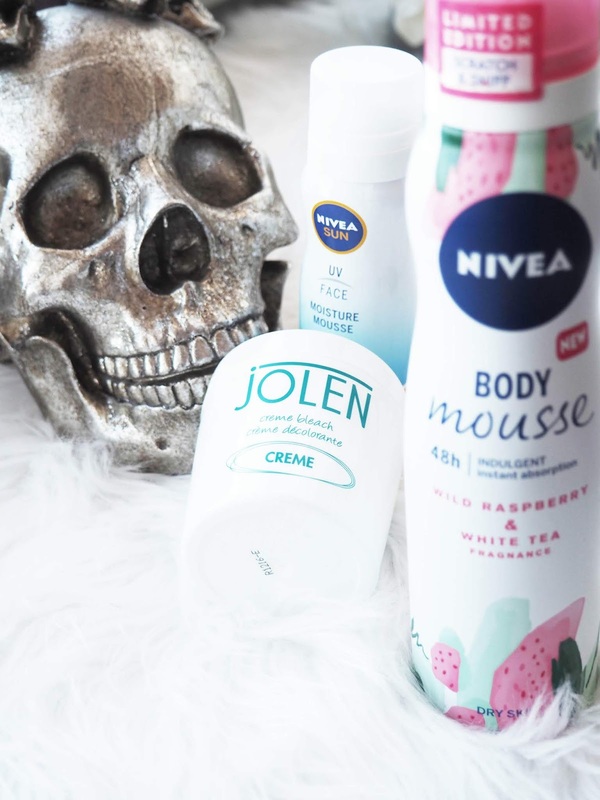 Jolen Cream Bleach: I never tried bleach cream before as I tend to shave or laser my body hair, however, a couple of close friends highly recommended me this and I used it on my arms when I just wanted to make the hair lighter without waxing/shaving. The process can be a little messy, but once you apply the cream and leave it to rest for a while, the results are good! 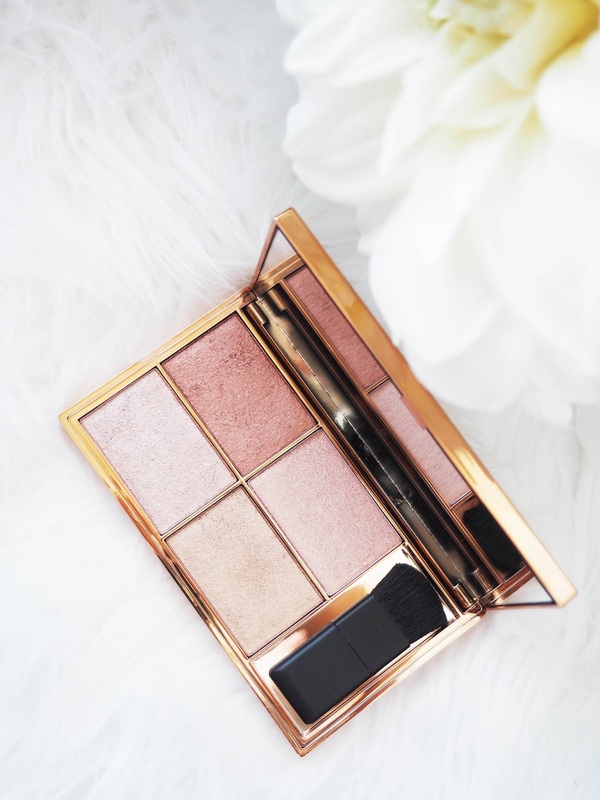 Sleek MakeUP Copperplate Highlighting Palette*: Hands down my favourite highlighter of the summer - I mix all the shades or go in with combos and apply across brow bones, top of the cheeks and collarbones. This palette suits a variety of skin tones and I love the colour selection you find here; from copper to gold tones, it will give you all the golden goddess vibes you may be looking for! The powder is very pigmented and you only need one or two sipes to achieve your desired effect; aliens will see your glow all the way to Mars! Epionce Renewal Cream*: Despite it being summer my sensitive skin gets twice as oily and also twice as dry in certain areas around my cheeks and neck. This is where this baby comes to play, instead of simply hydrating it reduces discomfort and soothes the need to scratch your skin/play with it. It contains ingredients such as colloidal oatmeal to soothe irritation and it works wonders!I mostly use it on my face but it can be used anywhere on your body. So these are the six products that I've been loving this summer. Have you tried any of them? What some great looking favourites for this summer, I am loving the sounds of the Sleek palette! I may have to treat myself to one. I love the warm, dewy tones of the Sleep palette. I bet they look phenomenal against the St Moriz tan! The Nivea Body Mousse sounds perfect for me and good at this time of year I am going to look into getting a bottle. I haven't tried any of these but I love the sound of them, the Epionce Renewal Cream in particular is one I'd like to try in this heat. OMG the highlighting palette is GORGEOUS! I don't tend to wear as much make up in the summer, especially in this heatwave, but I love the look of the Sleek MakeUP Copperplate Highlighting Palette! What a great collection of summer items you have shared here! Loving all of it including the sunshine! The Nivea body mousse has been on my must have list for a while now. I've really been curious in trying Nivea Sun Moisture Mousse Face Cream. Maybe I should really give it a go this time.